Posted on June 18, 2018 at 11:59 am. 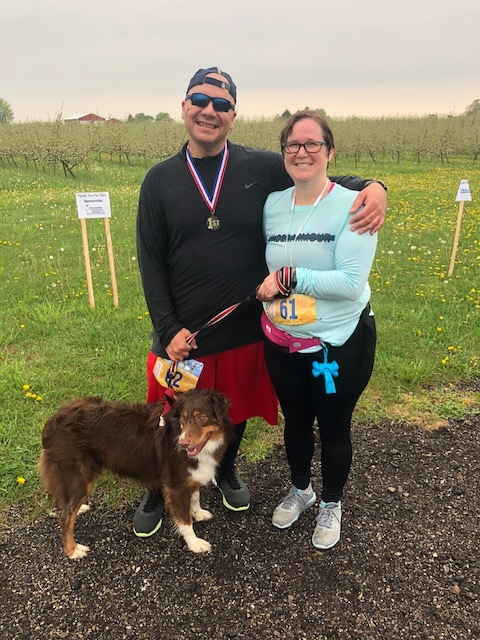 Danny Wright discovered triathlons and marathons in his 20s, tackling both while serving in the U.S. Navy during his 20s. Stationed at Pearl Harbor, he ran the Honolulu Marathon twice. 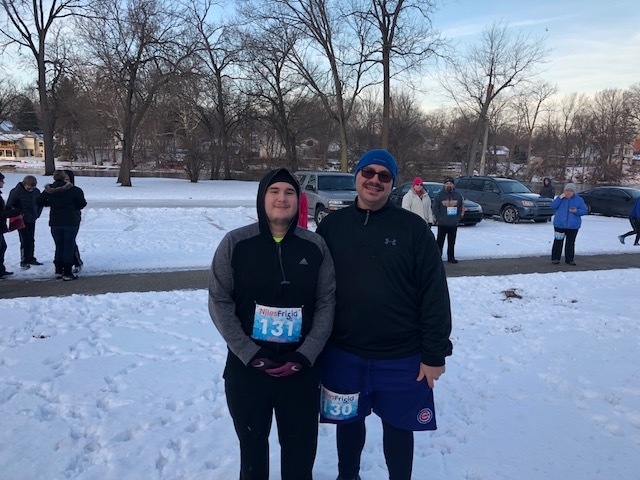 Danny then signed up for the Frosty 5K in Niles, Mich. this January, and began logging “a lot more miles.” He started with a “couch to 5K” program, then worked toward 10K and now he’s eyeing the half marathon. “I did my first 10K in March at the Minute Maid Park in Houston, and have been doing a few 5Ks along with the training for Rock ‘N’ Roll in Chicago and ultimately for the Holland Haven Half,” he says. How would you describe your running/active lifestyle journey? What has proven to be most satisfying, and also most challenging? I run 3 to 4 times a week, been building my “short” runs to around 5K and progressively adding distance to my long run (up to 9 miles now). I do a speed workout once a week (either sprints or tempo), 1-2 mid-distance runs a little slower than my race pace, and a long slow distance run. I also swim and/or bike a couple times a week, every couple weeks I do some light lifting or just do a spin class. I’m usually doing something active 5-6 days a week. I work a rotating schedule, so I work out at all different times from when the sun is coming up after a night shift to mid-afternoon before a night shift, or late into the evening when coming off a day shift. The most satisfying part for me is the sense of accomplishment from a short term goal (finishing a run at the pace I was shooting for or the distance I wanted to do). Also finishing a race at a new distance or a PR (which are getting more difficult to come by). I find challenging the first mile getting everything moving and finding the groove with breathing and overcoming the fact that as a big guy trying to “run,” there’s soreness and fatigue after a couple or few days. For the most part, I find that pattern with the breathing and overcome the soreness and settle into a run. You are running two half marathons this summer and early fall—what are your goals for these events? I am shooting for sub 3:10 Rock ‘N’ Roll and 3:05 Holland Haven. I also am working on being down another 10 pounds before RNR and an additional 10 before HH. What made you decide to sign on for the Holland Haven race? I had been debating doing the race, but hadn’t pulled the trigger. One of my coworkers was having dinner with the HH race director and told him my story (fat guy lost a bunch of weight by running) and the race director reached out to me to do the run. I signed up at their urging. 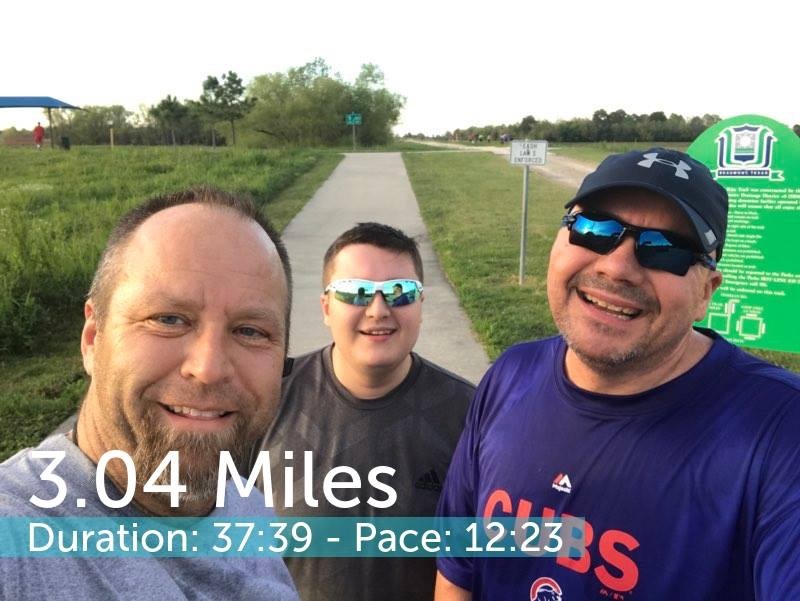 I added the Chicago Rock N Roll, which is six weeks before Holland Haven, to run with my cousin, who started his running journey with me last fall. He lives near Houston and is organizing runs for his church that he pastors. Do you have a running mantra that really helps you stay focused and motivated? 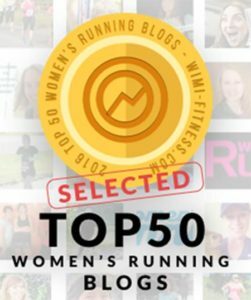 What do you like best about running in Michigan? Running in Michigan is interesting, never boring. You could have the absolute most perfect day, wind, snow, cold, or heat. No two runs are the same. Also, with all the shoreline, there’s never running without beautiful vistas. I have a beautiful wife and three awesome boys who started running with me also. Cori has done a few 5Ks and is continuing to get faster and go longer. 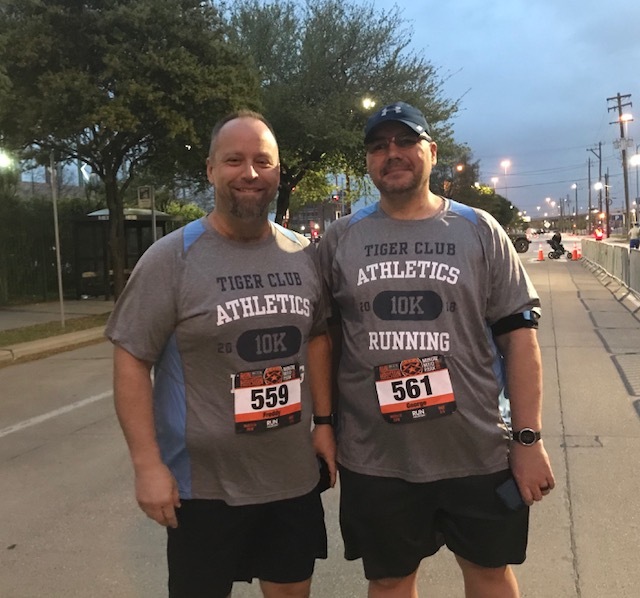 Gabriel (19) did the Houston 10K with me. Tristan (22) has recently started running with me and Cori and is doing his first 5K of the year in South Haven next week. Nathan (24) and his husband just started running in the Battle Creek area and are looking at races to run. I am thankful that I have started to enjoy running and have already seen many benefits. I am down 40 pounds and have to buy smaller size clothes, and it’s only a beginning. Want to join Danny at the Holland Haven Half Marathon? The event also features a full marathon and an 8K. The race is set for Sunday, Sept. 9, 2018. Now entering its fifth year, the Holland Haven Marathon and Half Marathon (and 8K, added last year) takes place each September – the weekend prior to Boston Marathon registration opening – and features point-to-point race courses. The marathon starts in Grand Haven and ends in Holland while the half marathon starts at the event’s charity partner, Camp Geneva, midway through the marathon course.